Wednesday, 21 September 2011, Day 302/365. 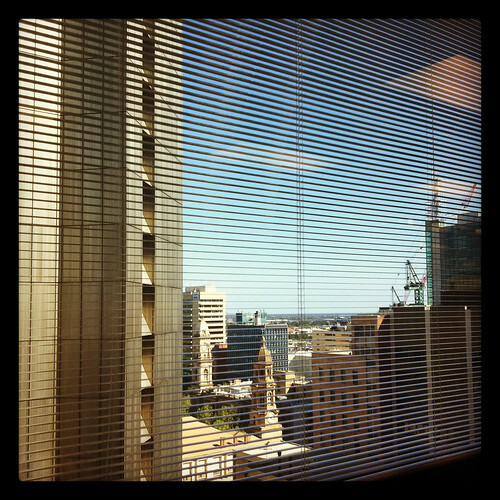 Making the most of the view outside my window at work. I was told more than a month ago that I’d be moving but nothing’s happened and any mention of it hasn’t happened for some time now. I’d like to stay at my desk because it’s better than where I’d be going.